Find the nearest Leprechaun and bring them to Paoli this Saturday from 2 to 7pm. 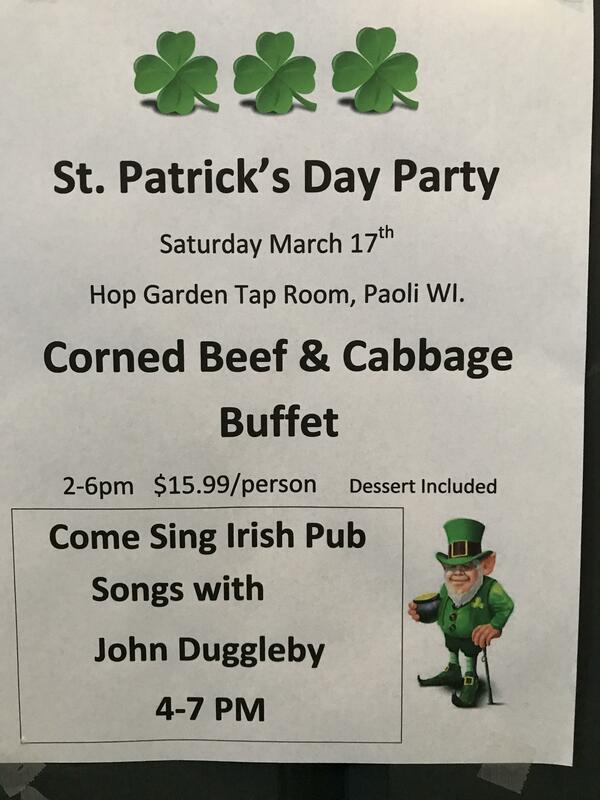 Corned beef and cabbage buffet $15.99. Full menu available as well John Duggleby will be entertaining us from 4 to 7 PM.